Frenetic cacophony and roaring madness are a big part of this live recording from last year. It’s the German alto sax player, Henrik Walsdorff, who is the main man on the album, which is recorded at Dexter in Odense, Denmark. 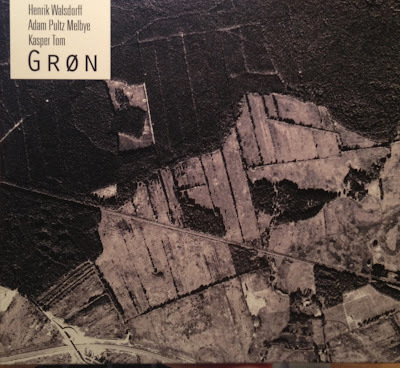 His allies in the battle are two Danish improvisation and free jazz musicians and they both lift up and back up Henrik Walsdorff in a significant way. Bass player Adam Pultz Melbye and drummer Kasper Tom are not strangers to jazz run out over the edge. I’ve have often praised Adam Pultz Melbye on this blog. He was among other things playing on The Mighty Mouse-album, which was one of favorites from 2012. He has got an intro on Polska in which he frets-fumes-and-hisses and takes his bass under loving impro-treatment in a way which is very characteristic for him. Kasper Tom has no problem in catching up; he finds his place very easily. He is playing in a mildly chaotic and steady set-up. Walsdorff is not afraid to wrench out a cry from his alto sax. At the same time he also finds his way into a groovy swing of a crooked kind. It’s the whole concert from Dexter which has been released. It has a raw and roomy sound. The album is alive and breathing even though 75 minutes of free improvisation is a tough affair. It isn’t dull at any time!